“Assembly does not allow partially trusted callers” exception in Orubase 2.0 wizard, when trying to publish web application in hosting site. 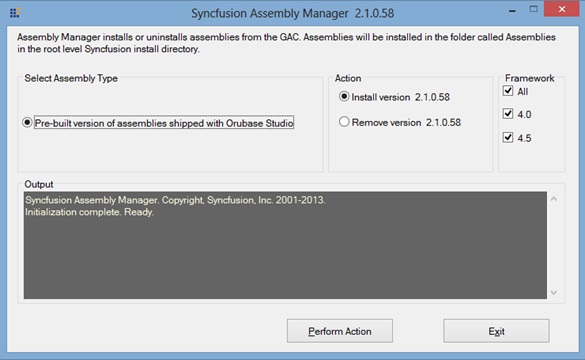 Follow the steps given to install the updated assemblies into GAC. Merge the attached updated assemblies folder in the following path. 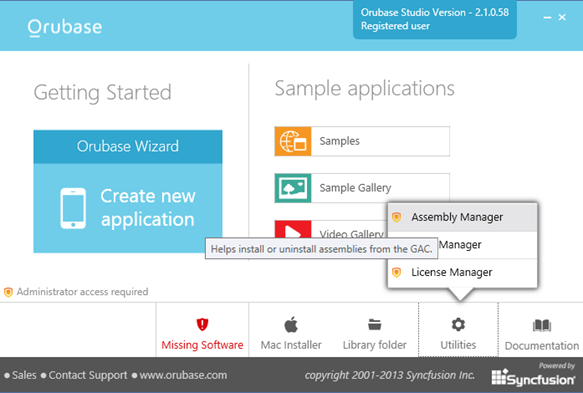 Click on the Assembly Manager from Dashboard to install assemblies as shown in the following snapshot. A window opens after that click, to perform the action, as shown in the following snapshot, to install the assemblies into GAC.